Each year shoppers look for the best deals online and in stores, shops on Black Friday. Some shoppers stay out all night, shopping in the stores that open at midnight. Or they park themselves in front of the computer and do marathon price comparison shopping, and scan the lists of bargains listed on the Black Friday websites. Have you had a plan for this Black Friday, 24th November 2017? 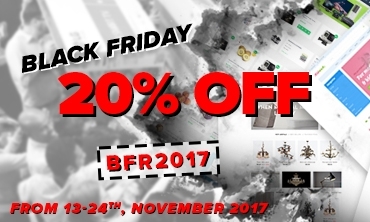 In order to celebrate this wonderful event, we are currently running one of biggest sale of all time this year – Big Sale for Back Friday with 20% discount for all items from 13th to 24th November 2017. Not only are we offering our largest discount ever, but everyone who purchases our themes on this case will be still granted with full supports from our technical team. 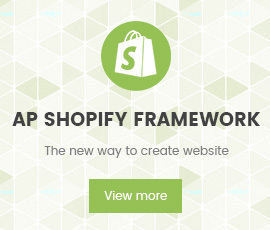 Our beloved customers, take this opportunity to get one of wonderful themes created by Apollotheme, including Shopify themes, Prestashop themes or Bigcommerce ones, based on your choice. Just visit our site apollotheme.com, you can see all of themes with different platforms, click on Live Demo and you can view the the you want. Let come with us and you will have amazing experience with great priority!